Today was Sanitary Kit distribution day and it was incredible! I felt so honored to have been part of the Pearl Program training day, providing support on the topic of menstruation! Today’s training was part one of a two day training for the Pearl Girls. They are learning important information regarding their health which will prepare them for high school as well as for their daily lives. The Pearl Program modules are designed to foster critical thinking and the activities are used to generate personal reflections and discussion with the larger group. 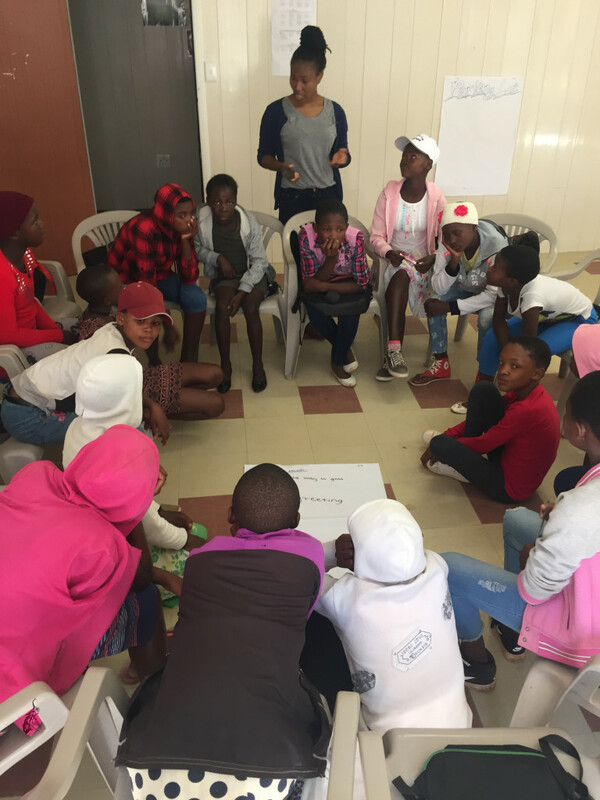 The girls are encouraged to share their ideas, questions and concerns in a safe and supportive environment, which builds their confidence and ability to internalize the information. Speaking for the first time in front of 60 other Pearl Girls takes a lot of courage! 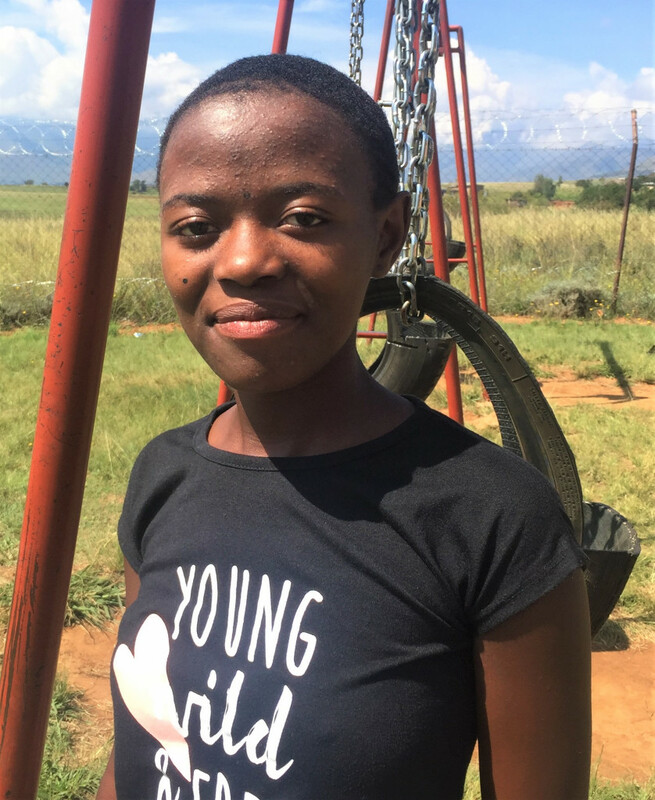 In Lesotho it is culturally taboo to discuss matters related to menstruation and many young girls believe unhealthy myths about their periods. Some believe it is a punishment or a curse and others believe they are unwell. 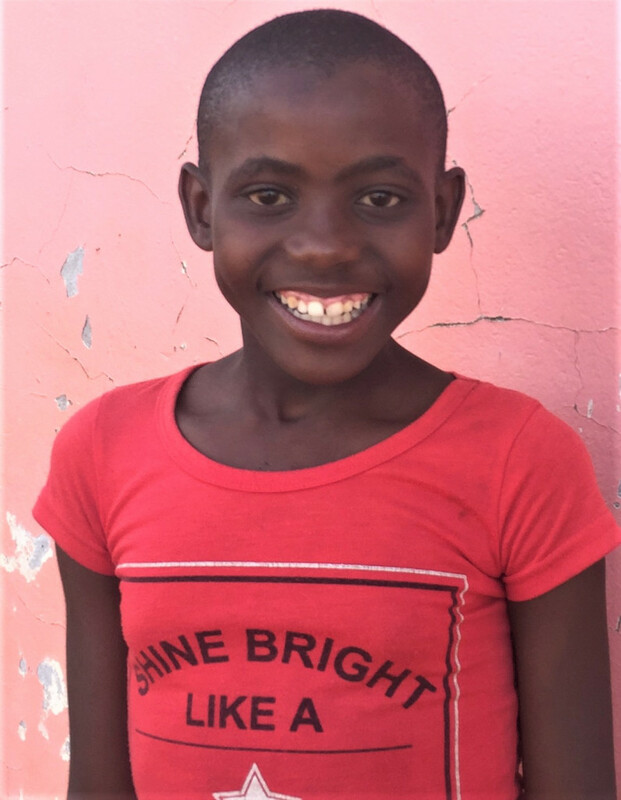 Normalizing menstruation as a healthy process helps girls open up about healthy ways to manage their periods while learning more about their own bodies. 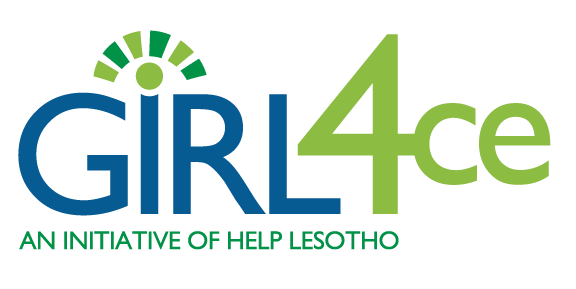 Lesotho’s high poverty rates mean that many families cannot afford the monthly costs of disposable products resulting in girls staying home during their period or using unclean rags or leaves to manage their periods. Because of your generosity, each Pearl Girl received their very own washable Sanitary Kit today! You have provided them a safe and dignified way to manage their period! As the kits were brought to the front of the training room the girls rushed to claim their kit and then immediately open it to see what was inside. 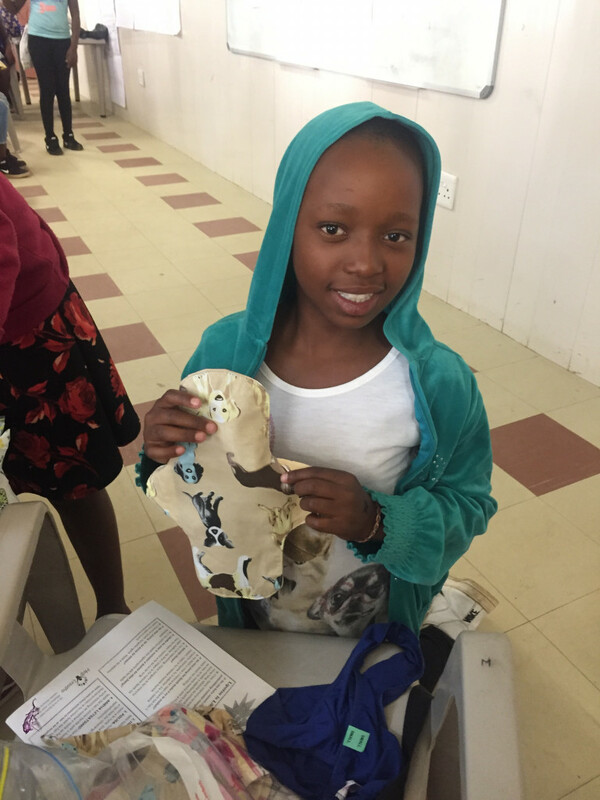 The facilitator demonstrated the various pieces including: 8 absorbent liners, 3 water proof shields, soap, a face cloth, a zip-lock plastic bag, underwear, care instructions and it all came in a beautiful drawstring bag – so much in one little bag! At the end of this Pearl Program these girls will be ready to start their secondary education with the knowledge and tools to cope with the challenges ahead. For some the challenges will begin early with their families struggling to pay for the necessary fees, uniforms and textbooks required to attend high school. Without support some of these girls will have to wait, possibly years, until they are able to afford the fees or find a sponsor. Last week I had to privilege of meeting two Pearl Program alumni who shared their dreams of being able to complete high school.